Radio is more than the warm sound from a Neumann U87, NPR’s virtual house microphone. Radio is the lives we touch. It’s the first time you heard B.B. King, the time you had to look up a word someone used or a meme that came up, and the people we listen to and with whom we become acquainted. National Radio Day is coming up Saturday. Its origins are unclear, but by many accounts it emerged in the 1990s as a rallying point for a resilient medium. It traces some lineage to the UNESCO-recognized World Radio Day in February. This year, may it be public and community radio’s space not only to honor our people and the memories we inspire, but also to acknowledge our significance in today’s variegated media and cultural landscape. Noncommercial radio is the programs we love, yet, as media consumption has splintered, it is also the experience of a particular voice. It’s the millennial streaming an evocative conversation about the election. It’s the teenager in a small town or suburb scanning the dial late in the evening to discover bold music and culture. It’s a community of people of color hearing itself represented by its own collection of rich characters in ways that matter. National Radio Day is intended to get cities and towns buzzing about the importance of radio. For public and community radio, it’s an opportunity to talk about what we offer the wider world. Our concepts of community, engaging audiences and even radio are evolving. Public and community radio have answered the call in creative ways. Public and community radio are committed to serve our country as never before. Consider the award-winning work of Reveal and the community engagement efforts of the Association of Independents in Radio. KPCC in Los Angeles and the Latino Public Radio Consortium worked to grow the station’s Latino audience, while Chicago’s Vocalo pursues younger listeners. And our respective organizations, Brown Paper Tickets and the National Federation of Community Broadcasters, deliver services and support to a constellation of public and community radio stations, cultivating new voices through our efforts. All embody the best of the culture of radio: a sense of community, a commitment to diversity and a passion for people. 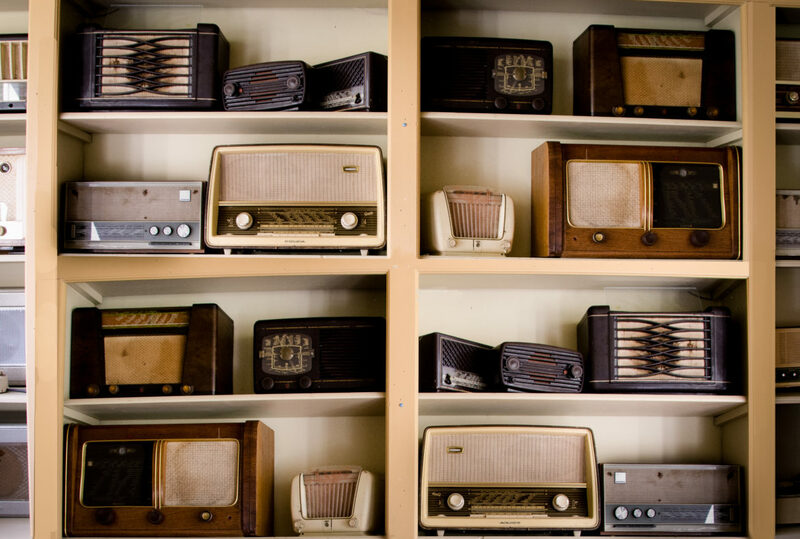 National Radio Day is but one day to acknowledge how public radio stations, low-power FM outlets and community radio organizations have come to serve a vital purpose. People crave facts and context. Americans increasingly distrust media. Surveys suggest that people don’t believe our media have the integrity a democracy demands. While such views inevitably damage media’s impact, new projects to deliver news and conversations are emerging. The New York Times’ fact-checking elections blog and the crowdsourced climate project iSeeChange are just two instances of richer coverage. Here, public and community radio can demonstrates their true value and power. Sometimes it is as simple as asking a candidate for political office a direct question and pursuing the answer, or being an oasis from glitzy television and streaming subsumed by focus groups and marketing departments. Last year, #NationalRadioDay trended on Twitter to the tune of over 22,000 tweets. Radio stations and communities held local events, shared memories on social media and dedicated on-air breaks to encourage listeners to participate in events in their areas. That’s where the fun began. For example, KMUN in Astoria, Ore., upped the charm quotient of National Radio Day by combining it with National Lemonade Day and serving lemonade at an open house. WHIW, a low-power station in Harvard, Ill., focused all of its programming on National Radio Day. This year in Portland, Ore., KBOO, Freeform Portland, KPSU and Xray-FM will promote National Radio Day with a special broadcast and community event. Radio listeners, especially fans of public and community radio, are funny, intelligent and entertaining. National Radio Day 2015 elicited selfies of every stripe, stories and much more. Give listeners a chance to tell the world how much they love radio. You’re in for a treat. Last year, commercial broadcasters took advantage of National Radio Day on social media to talk up our shared medium. IHeartRadio and Radio Disney were among the social media participants in 2015. Those bigger outposts are public media’s cool friends. They helped #NationalRadioDay trend and reminded their massive audiences that radio matters. Invariably, this effort boosted noncommercial media. Many radio stations and many more listeners will be recognizing National Radio Day. Stations are welcome to join. It’s our time to crow a bit about ourselves, but also to focus on the people who depend on and appreciate us: our listeners and communities. Your National Radio Day celebration can be local hosts doing a short Facebook Live stream, asking listeners to tag you while using #NationalRadioDay, or even a promotion for the best #NationalRadioDay video mentioning your station. If you want to go big, add National Radio Day to your summer outreach calendar. Remember, National Radio Day is a way of getting your audience to offer a testimonial about your radio station. Public and community radio are keenly focused on engagement. Stations have to be, because their funding is inextricably tied to emotion — people giving because radio matters to them. The endeavor of noncommercial radio is in no small measure devoted to maintaining relationships with core audiences as well as creating new bonds with younger fans and growing the base. Your station can make National Radio Day fun. Use Snapchat, Instagram and other platforms in your mix. National Radio Day also may be a way for your organization to connect with members and remind them of when they discovered B.B. King or Googled that meme and what it meant to them. You can use National Radio Day as an excuse to get out in your city and to talk about our field outside of our own circles. Participate and get listed at nationalradioday.com. Ernesto Aguilar is membership program director with the National Federation of Community Broadcasters. Sabrina Roach is a “doer” with Brown Paper Tickets in Seattle. National Radio Day can also serve to spotlight K-12 schools, colleges and universities in addition to hobbyists who’ve harnessed the power legal, license free low power radio broadcasting under FCC Part 15 regulations. The barrier to access the airwaves presented by overcrowded spectrum may not allow for full powered licensed facilities, but carefully planned and engineered Part 15 compliant signals can do wonders such as serving a high school, college or university campus to help train the next generation of radio or digital media hosts, producers and engineers. These same legal stations can serve an apartment complex, gated community or similarly small neighborhood. It is important to not confuse legal Part 15 compliant broadcasting, which is quite limited in usage range and coverage with that of flagrant, illegal pirate radio.